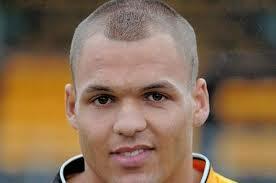 Annan Athletic kicked off 2014 with an important victory over Albion Rovers at Galabank on Saturday. A goal either side of half time secured the points in Annan’s favour. Unlike previous weeks when Annan have relied on late goals to get over the finishing line there was to be no repeat on Saturday with Albion Rovers failing to penetrate a resolute Annan defence which rode their luck in the 9th minute when Mark McGuigan’s header struck the cross bar, that apart Annan always looked in control to halt Albion’s impressive recent run of victories. 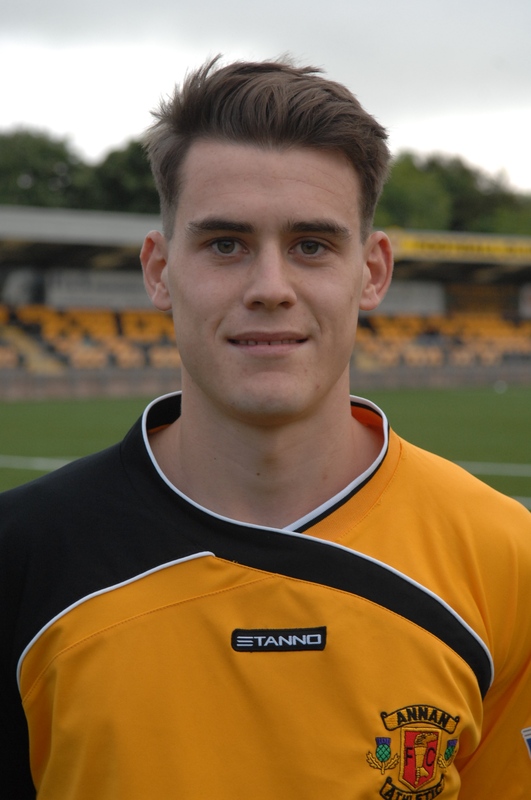 Annan forced a corner in the opening minute and Scott Davidson blasted over from a promising position. Annan had a let off when as previously mentioned on loan Partick Thistle striker McGuigan’s back post header from a Reid cross crashed off the cross bar. Minutes later the Albion goal survived a real scramble when Keeper Neil Parry pulled off a string of brave goal-line saves to deny Davidson, Todd and MacKay. Annan continued to look the more adventurous team an in the 26th minute Todd’s header tested Parry who tipped the ball over for a corner kick and from the resulting corner McNiffs back post header was confidently saved by the Albion keeper. Ex Annan favourite Scott Chaplain delivered an inviting cross to the back post in the 31st minute but McNiff cleared the danger with a back header. The opening goal in the 34th minute was shear class, Keiran Brannan was the provider with a penetrating run down the right finishing with a great inviting ball to the heart of the 6yard box and Josh Todd connected beautifully with the cross to head the ball into the top corner of the net. Brannon was proving a handful down the right and minutes later he delivered another inviting ball to the heart of the Albion defence which saw Michael Dunlop under pressure from MacKay clip the ball off the underside of the cross bar. Albion Rovers forward Christopher Dallas sustained a back injury under a hefty challenge from Swinglehurst at the start of the second half. Then with 53 minutes on the clock Annan struck gold for a second time with a stunning strike from Kenny MacKay who latched on to a Josh Todd through ball and the low 25 yard strike nestled in the bottom right hand corner of the net past the despairing dive of Neil Parry. It was a crucial goal which gave Annan a two goal cushion. Albion managed to pierce open the Annan defence in the 65th minute when Christopher Dallas found the net only for the goal to be chalked offside. Albion were enjoying their best spell in the match and McGuigan picked out Dallas in the 78th minute with a good cross but the cross went narrowly over the bar. Minutes later substitute Jordan Allan’s back post cross was headed over the bar by Michael Dunlop. Ally Love had a good opportunity to add to Annan’s two goal advantage in the 85th minute but Neil Parry averted the danger with a good save. As the game entered added on time McGuigan tested Arthur with a header and Jordan Moffat had a good effort which flashed past the upright. It was the third win on a row for Annan which left manager Jim Chapman delighted with the performance and spirit displayed by his team. “After a nervy start we settled into the game and in the end controlled the outcome of the game. We deserved the goals at the time but you are always worried because Albion Rovers are a good team with good players who create chances. We stopped playing after we got the second goal and a nervousness crept in to our play maybe through a lack of experience and leadership but the way they kept grinding away and working hard for each other was fantastic and their character came through in the end with another fabulous three points. Kenny Arthur was excellent at the back and he marshalled the defence really well and they were rewarded with a clean sheet”. Annan Athletic – K Arthur, S Sloan, M McNiff, P Watson, S Swinglehurst, M Flynn, S Davidson (J Moffat 82 min),K Brannon, K Mackay, J Todd (S Davidson 83 min, A Love. Substitutes not used G Anderson, P Bradley, Z Caldwell, A Mitchell, K McCrudden, D Wood. Albion Rovers – N Parry, A Reid, R Dunlop, B Russell (D Crawford 55 min), C Donnelly, M Dunlop, L Cusack, S Chaplain (J Allan 81 min), M McGuigan, C Dallas (R Tiffney 81 min), G Phillips. Substitutes not used, J Flood, M McGinley, M McGuire, M McGinley, K Nichol.